As you will have probably seen on Instagram or Periscope (@liquidgrain) Matty and I quite often frequent The Steak Barn in St Andrews. So I thought it was about time I actually wrote a post on it! 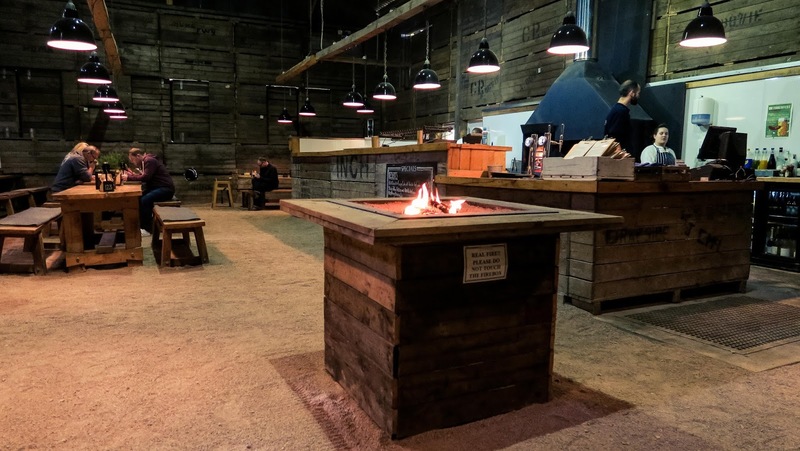 You can find The Steak Barn just outside of St Andrews at Balgove Larder and you can check it out in all weather despite the rustic, outdoorsy setting. The Steak Barn is actually that- a barn! But don't worry, in the winter they keep it nice and warm with camp fire style fires and warm blankets! If you fancy a steak then you should definitely check it out- although be warned there is not a huge choice for food. But if you like well cooked local meat then this is the place for you! I have tried the beef sausages before but I can't stress how good the steaks are! I have tried both the rump and the rib eye- and thoroughly enjoyed them both! 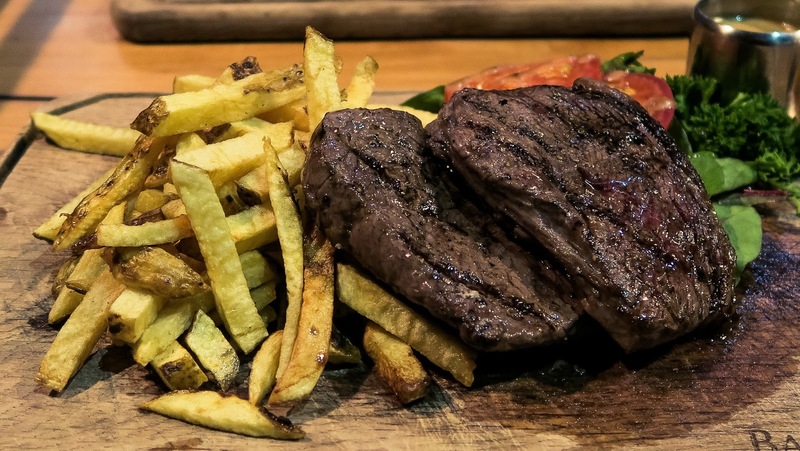 As a bonus the steaks are very reasonably priced (and come with tasty chips) which means you don't feel guilty about splurging your student budget on some sides such as the peppercorn sauce and the onion rings- both of which I can recommend personally! If you are lucky enough to not be driving to the Steak Barn you can also try some of the various beers and ciders on offer! 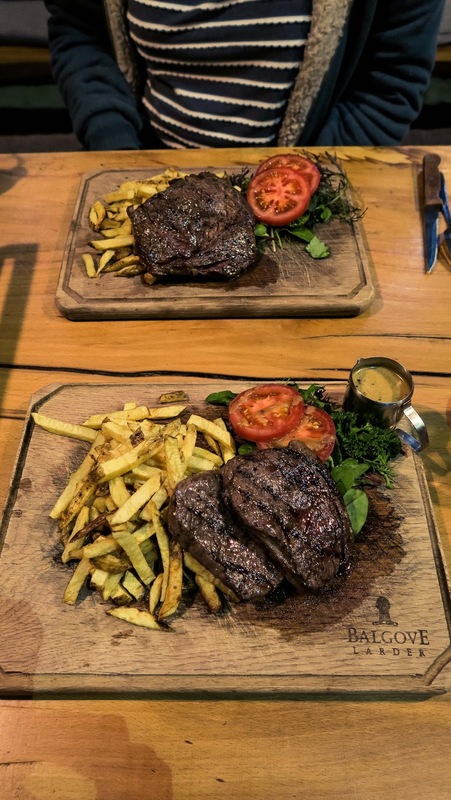 Overall, if you are a steak fan and love eating in down-to-earth rustic settings then you will love The Steak Barn and you should make sure to check it out if you are in St Andrews! Are you a meat fiend? 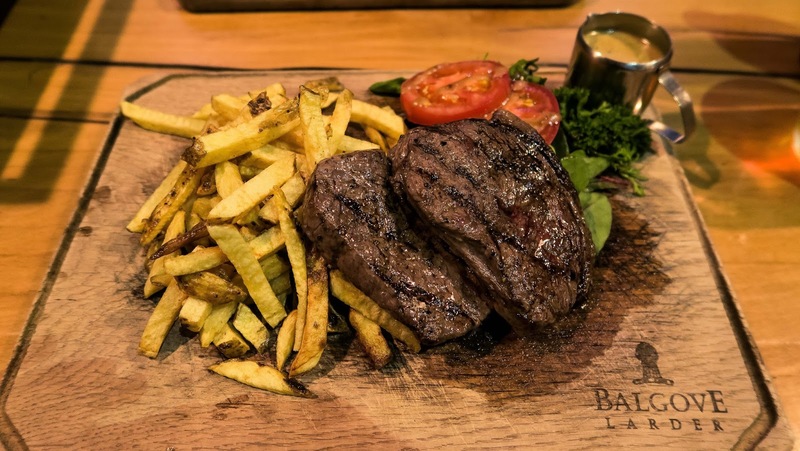 Would you try The Steak Barn? Let me know down below! Thanks Louise, it's so yum! Although not the place for veggies! Gosh, this looks like such a nice place to go for dinner. 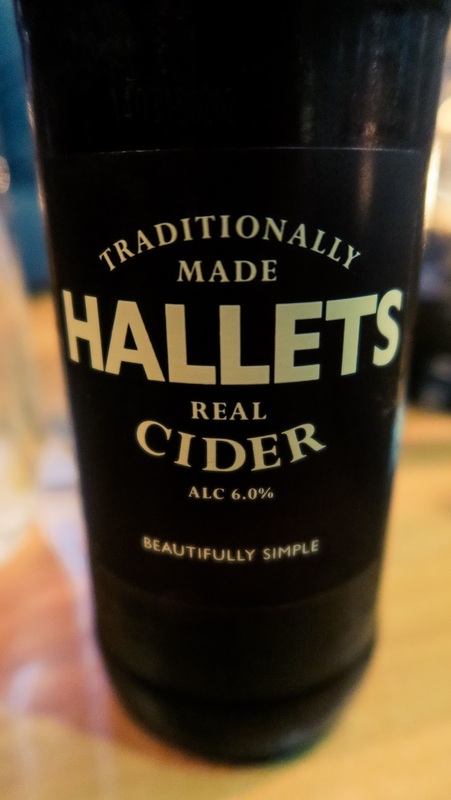 And cider .... mmmmm! I really like the thought of the cosy blankets. The steak looks so tasty! Thanks Sarah, it is such a nice place to go and visit!